Amicia Glow: My Skin Care Routine. Part 2. Tonight I'm bringing you the second part of my skin care routine. In my previous post on skin care I went through my night time routine so now I am going to go through what I do every single morning. It's very quick and easy as most mornings I wake at 05:45 and I don't have the spare time to ponder over products so I keep it very simple much like my night time skin care routine only a lot less involved. Every morning, the very last thing I do in the shower is wash my face. 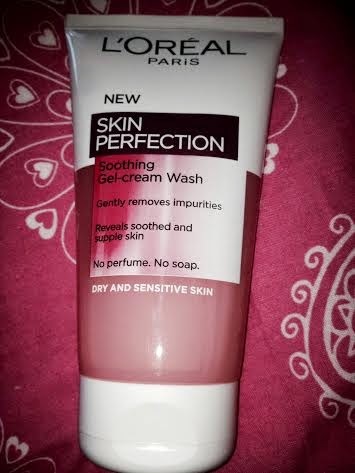 At the moment I'm using the L'Oreal skin perfection soothing gel-cream wash designed for dry and sensitive skin. 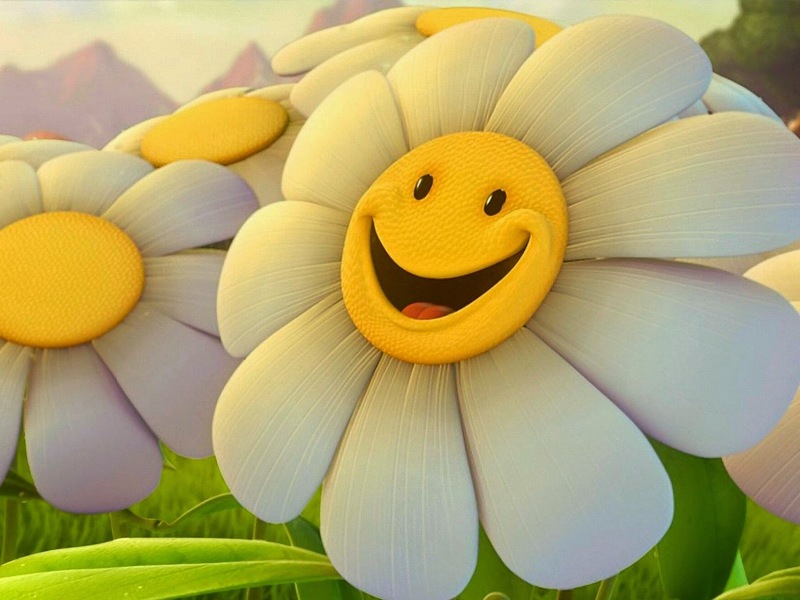 A great tip I learned is to leave your face until last when washing in the shower as the face wash will remove any of the shampoo and conditioner residue that would be left on your face from washing your hair! I bow down to this tip. With a few tips I've gotten over the past year my highly sensitive skin has seen a MAJOR improvement and I promise you, like me, you will see the benefit too doing this. And on a side note I pat my face dry with the towel to prevent any break outs I may have from spreading. 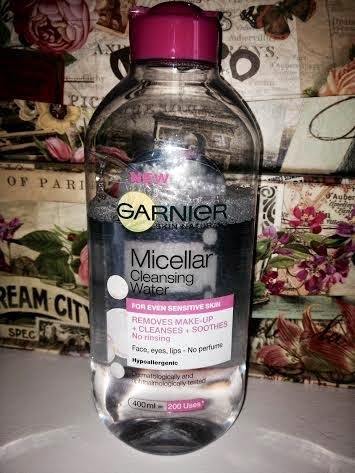 My next step is I go over it again with the Garnier Micellar cleansing water. As I have said before I use this as a toner, it is designed as a makeup remover which from time to time I will use to take off my makeup but for me its not good enough for that purpose everyday, but its the perfect toner. This will remove any of the face wash residue left on my skin. I only need a tiny bit of this and the cotton wool always comes back clean. 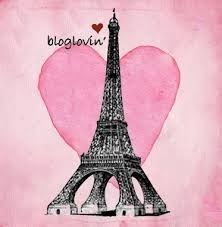 I just love this stuff! Its a very generous bottle and so easy to decant into a little squeeze bottle when traveling too. Next its onto my day time cream. 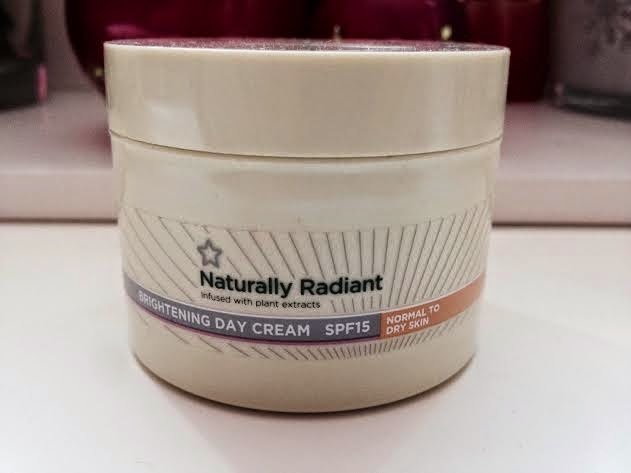 I am loving this Naturally Radiant skin care range from Super Drug! A full review of all the products I have used will be up soon as I am nearing the end of most of them and have already repurchased some of them ;). 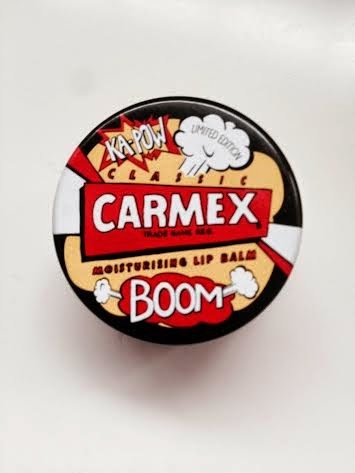 I only use a small amount of this and it sinks in straight away and a small amount goes far. 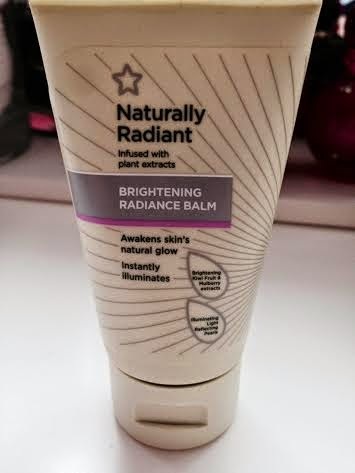 I use a small amount of the balm again also, as mentioned in my night time routine. Its a really gorgeous product, smells amazing but not too strong. Its a winner! Then if this is just a typical day I don't wear much lip products in work I just stick to my Carmex. This stuff comes everywhere with me.